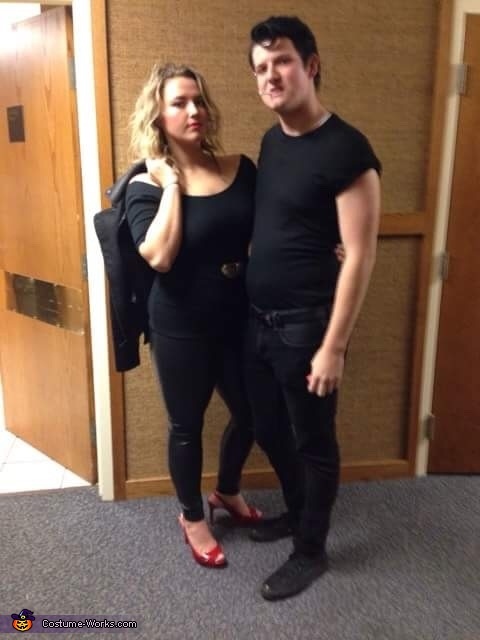 I was Sandy from Grease and spent less than $10 on the shirt which was originally an off the shoulder dress from Value Village. The belt and hoop earrings were about $5 total, also from Value Village. My Boyfriend was Danny and the shirt cost about $10 from H&M and only a few dollars for the value village colored hairspray we used.